A Year of Being Here: David Ray: "Thanks, Robert Frost"
"Thanks, Robert Frost" by David Ray, from Music of Time: Selected and New Poems (Backwaters Press, 2006). Reprinted by permission of the poet. 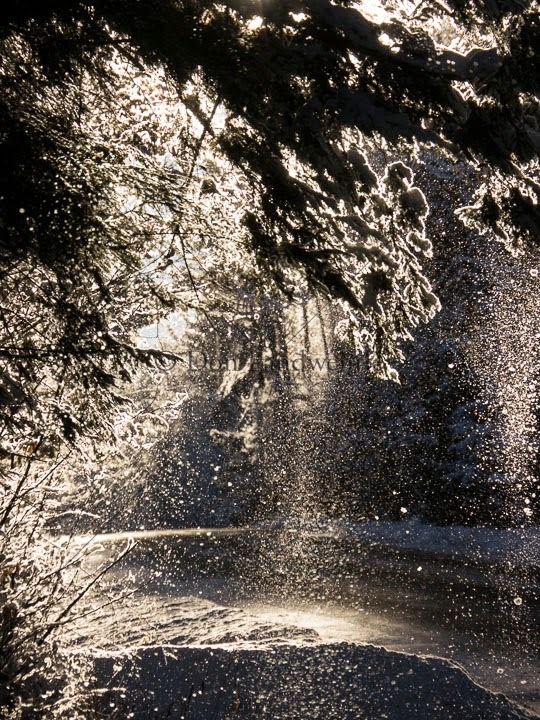 Art credit: "Snow falling from backlit trees, Stowe, Vermont, USA," photograph by Don Landwehrle.